Congratulations Class of 2018! Each of our graduates has a story of accomplishments made in the past four years, dreams for the future, or obstacles they’ve overcome. We want to share several of their stories with you. Please share more stories with us on social media with the #ckhsgrads hashtag. 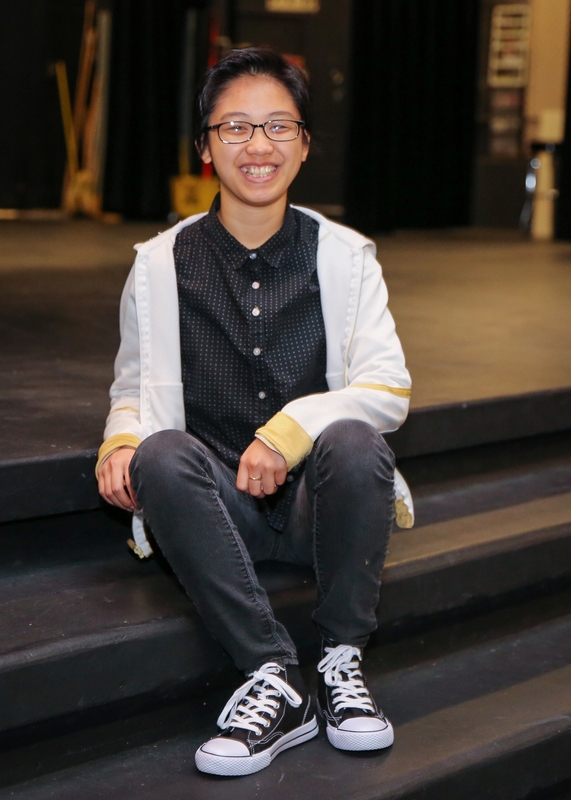 Tricia Ferrer was involved in nearly every theater production at Central Kitsap High School over the past four years. And she came to realize that underlying her love for theater was a passion for democratic discourse. So next fall, she’ll head to Whitman College to study economics or history. She eventually wants to practice law. Q: Do you have a favorite memory from CK Schools? A: [She attended Cottonwood, Brownsville, Ridgetop, CK Middle and CK High.] It’s been a blur. I think it was that really awkward transition [to high school]. The Class of 2018 was the first class to be freshman here in a while. That was just kind of like a jolt of, “Wow. OK. I’m actually in high school now instead of junior high.” So it was exciting, but also kind of terrifying at the same time. But I think I needed that first year to really understand what high school was about, and then have two years to kind of really struggle and figure out what exactly I wanted. I can't imagine ever jumping into high school sophomore year. Q: What advice do you have for next year's freshmen? A: Don’t lose your creativity. You’re told to plan out everything in your future. It’s fine to have a plan, but once you start to lose yourself, that’s where it starts to go wrong. Q: Is there a staff member who impacted you? A: Ms. (Sarah) Fisher, undoubtedly. She already has a reputation around the school, and I was really excited going into AP World History (and later AP Government & Politics). She got me to think of the world in a different way. She’s the kind of person that would look at things always from both sides. She would never shut someone out just because of their opinions. That kind of made me realize I want to practice law in the future. It's also made me a better activist too for human rights. Kidd Lee had a long journey of growth from a student who got in trouble to a young adult with a diploma. Once she decided that she needed to graduate, she had a lot of work ahead of her. With help, she took extra online classes while still volunteering weekly at church to support the homeless. Q: Did you always think you were going to graduate from high school? A: No. I came here, and I was so far behind in credits that I just didn't come for weeks and weeks. I restarted my ninth grade year and never came. I failed everything. And then, (I don't know if it was maturing or if it was the realization that I needed to graduate and get out of here) I just checked in, seeing what I could do. This year I did a lot. I did a lot of online classes. It's not that hard once you do it. Q: A are there things along the way that stick out like turning points or people you talked to? Q: What do you want people reading this to come away with? A: You can do whatever you put your mind to. As deep of a hole as you are in, it’s not that bad once you sit down and do it. I didn’t think it was possible for a long time while I was doing it, but it’s worth a shot. Two years ago, Geoffrey Kabongo moved to Central Kitsap from the Democratic Republic of the Congo to live with his sisters. He had to learn to speak English as a third language (he understands five languages in all), while also navigating the other academic and social challenges of a new high school. Q: Why did you move to this area? When I’m done with high school, I’m probably going to go to OC for two years (before transferring to a Central Washington University), and I’m going to study business. My plan for the future is, I would like to be a manager when I’m done at a university. Q: How many classes did you have to take? A: I had to take almost all my credits in two years. Some of my credits transferred, like French and PE, but that was about it. I had to retake my math classes, like Geometry. And I had to take five English classes. Last year, I only took six classes. This year, my first semester I took six classes plus two online classes. This last semester, I took seven classes plus two online classes because I had a zero hour. Q: What is some of the best advice you’ve gotten? 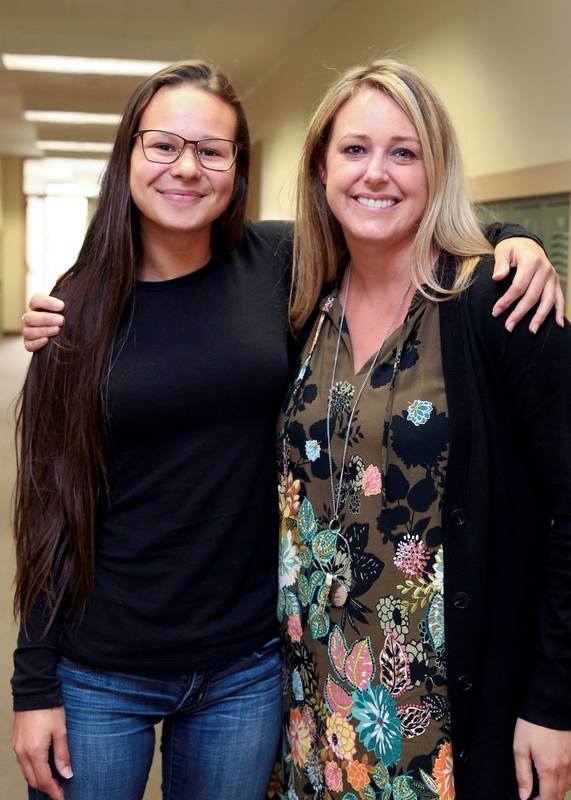 A: My counselor, Ms. Sotelo, when I moved here, she told me I didn’t need to worry about anything. I just needed to focus on school. And if I could do it in the Congo, I could do it here. 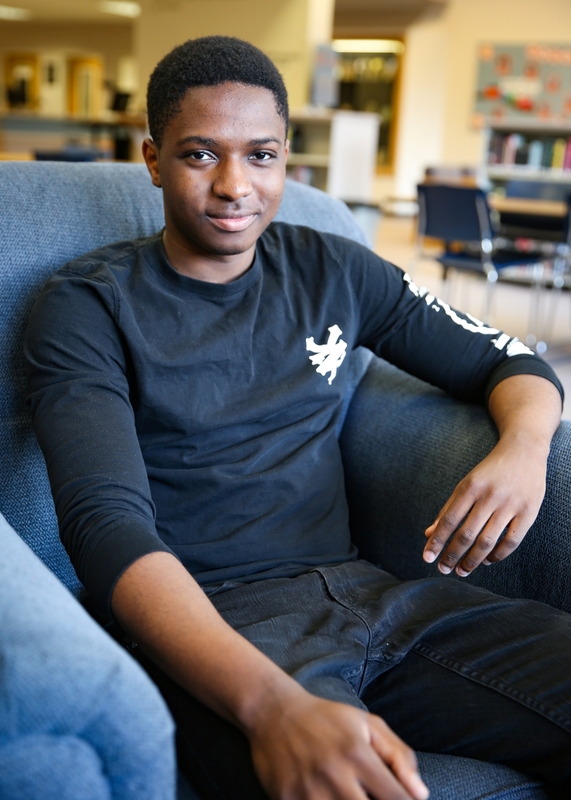 As last year’s ASB President, Treys Neptune was in the thick of school life. From organizing events to planning a mural, he was involved in many school life highlights. He plans to attend Olympic College for two years then transfer to the University of Washington. He hopes to study business or law. Q: What was your favorite school activity? A: ASB, definitely. You get to organize all the school activities. To me, this is really the time and moment that truly matters in people's lives. A lot of students don't really understand that. So I like trying to make them understand that this is the moment that really matters. Because after this, you have college, then your life, then you don't really have any more of the fun, group activity-type things. Q: Is there a particular teacher or support staff member who has impacted you? A: I feel like all of my teachers have really made an impact on me. That might sound stereotypical or something, but it's not just one teacher. I've learned something from every teacher I’ve had. So it all just builds up. Of course, I have my favorite teachers, but I’ve learned something from everyone, and I really appreciate that. Q: What advice do you have for those starting high school? A: Be active, don't be afraid to get involved. This year, I got more involved than in previous years. As a senior, I thought, “I wish I did this earlier. It’s my last year, and I really want to do this again." But I can’t unless I fail graduation. I'm tempted to [laughs]. Even if you don't like something, just try a little bit of everything. It's also super easy for people to make new clubs. If you don’t see something you like, just make something yourself.